The most crucial UN international summit of the decade (COP21 / CPM11 / Paris 2015) takes place in Paris from 30 November to 11 December. On the eve, people in cities around the world will take to the streets to march for ambitious action on the climate crisis. From London to São Paulo, and Johannesburg to Paris, we will rise together to meet this moment with a single deafening message that can’t be ignored. In UK there will be demonstrations in many cities on 28 November, followed by a major national demonstration in London on 29 November. 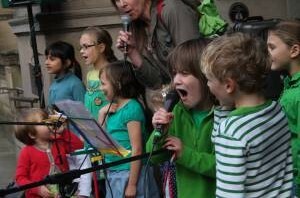 Raised Voices have prepared a songsheet and other singing resources – some familiar, some new. And Sámi singer Sara Marielle Gaup Beaska has put a call out for people around the world to sing her Yoik in solidarity with indigenous people the world over to acknowledge the disproportionate impact climate change is having, and will have on their lives if we do not act now to reduce our impact on this earth we live on. Video with her story and song here. Climate march coaches: climatejusticejobs.org.uk/transport (includes info for Paris 12 December). If you know of others, let them know! 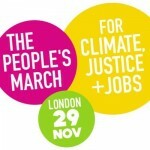 This entry was posted in Climate, Demonstrations Marches Rallies, Environment, Fracking, Marches and Rallies, Song Sheet, Uncategorized and tagged 29 November 2015, Climate Change, COP21, CPM11, London, Paris 2015 on 2015/10/30 by frankwires. 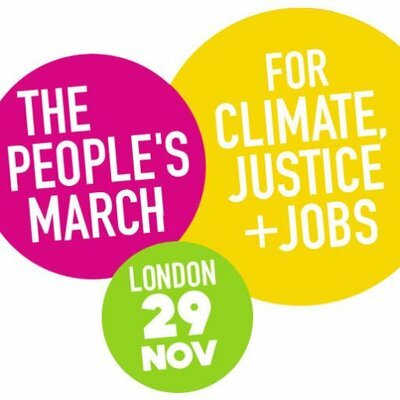 Following on from the tremendous success of the People’s Climate March in September, on March 7th 2015, the Time to Act on Climate Change march will bring people together again on the streets of London to demand real change and tell politicians seeking election that there is no mandate for climate-wrecking business as usual. 2015 is a crucial year for the climate. In December, governments will come together in Paris to strike a new deal for the climate – we must make our voices heard. This entry was posted in Climate, Demonstrations Marches Rallies, Environment, National on 2015/01/10 by Jenny Patient.